The compound is set around a 4 x 12 metre swimming pool with a sundeck and a Bale Bengong. 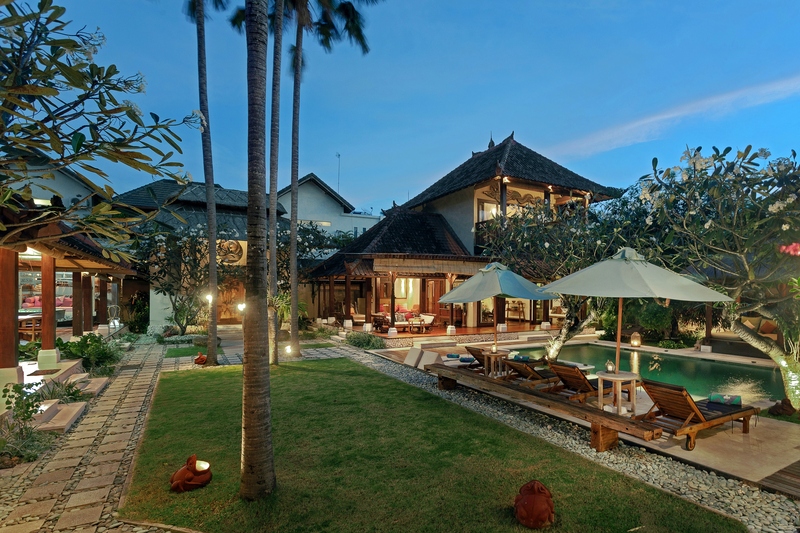 This wonderful estate has been designed to capture the ambiance of a Balinese compound. Big Bale Bengong is a great place to relax by the pool. Manicured lawns, tall coconut trees and a traditional Balinese design in the heart of Seminyak. Open plan lounge area with gorgeous garden views. Fully equipped kitchen is ready to host large groups. Well appointed bedroom suite with ensuite bathroom. 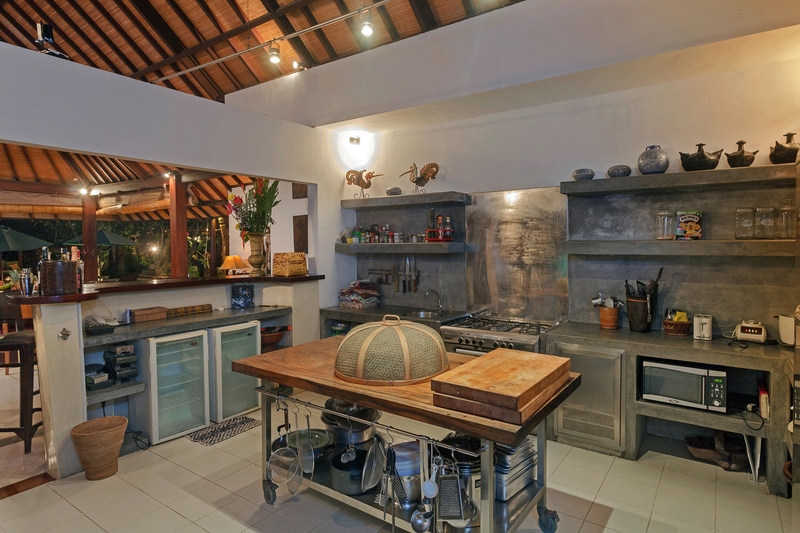 Located on a quiet street in downtown Seminyak just behind Bintang Supermarket, this wonderful estate is less than a 15-minute walk from the beach. It has been designed to capture the ambiance of a Balinese compound with separate dwellings spread over 1,300 square metres of landscaped gardens and set around a 4 x 12 metre swimming pool with a sundeck and a Bale Bengong. Three separate pavilions house the six-bedrooms, with open lounges, mezzanine floors and a pool table area. All bedrooms are spacious and have ensuite barthrooms while the open-plan living room and a separate TV-room are connected by a covered pathway to a large dining area, which can comfortably cater for up to 16-people. The modern kitchen is well equipped to host large groups and there is a service area with staff quarters around the back. Julien Hug told WILLIAMS MEDIA "this impressive property is very strategically located for the short-term holiday rental market."